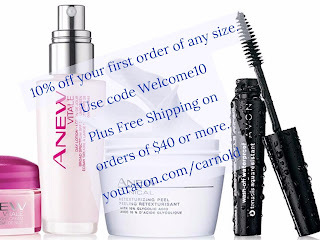 Thoughts on Beauty and more: Avon Lady Life ~ A visit from the "kids"
Avon Lady Life ~ A visit from the "kids"
It's Thursday and I'm working at home in the office. It is pretty quiet today, which is not that unusual since my husband works during the day and our daughters are away at college. What's unusual is that it's the first quiet day all week. Early this morning my husband left, not for work but to spend the weekend at one of his annual VW camp-outs with his friends. But the big difference is that shortly after he left our two adult daughters left to return to their home in Reno. They had been home since Saturday and this visit brought something new. My older daughter adopted a dog about a week before she came home and so we had this new family member that is learning how she fits in, not just with the human family members but our other two dogs. 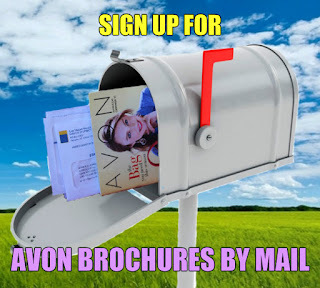 How does this all tie in with Avon you ask? While my husband still had to go to work this week, I shifted most of my work for the week to today and tomorrow so that I could spend as much time as possible with the girls and help keep up with the new dog as she is being trained. And the things that couldn't be moved to different day, I just included the girls in what I was doing like I did when they were kids. My younger daughter went with me to a team meeting and lunch and my older daughter helped me take my brochures to the post office before we did some shopping. I did have an order going in at the beginning of the week so I took calls from customers and entered orders in between other activities. 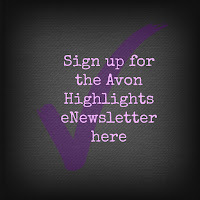 This is what I've always loved about being the Avon Lady. It allows me the time to do what's important to me by giving me the flexibility to work my business around my family and what's important to me. Now while it's quiet I'll catch up on the work I didn't do earlier in the week and relax. What are the Benefits of Using Clay Masks?